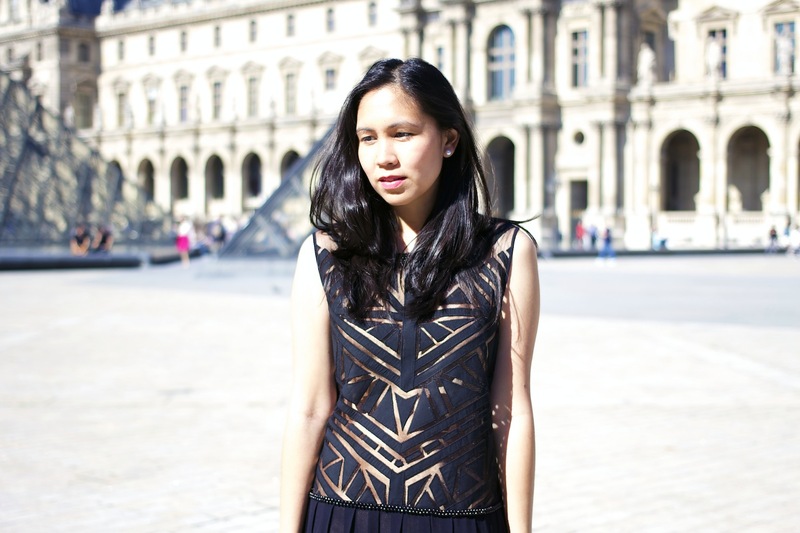 A belated style post from Paris with more to come! When I saw this dress in the Sass & Bide window I fell in love, it was Olivia Palermo meets Marchesa meets Givenchy all in one. My ideal. I had to own it, regardless of the break it made in my piggybank. Whilst in New York I was lucky enough to hear whispers of an upcoming Mulberry sample sale (whattttt! ), this amazing handbag creation is a bi-product of these whispers. All the queuing up and nervous waiting was so worth it, it was a steal and my prized possession. The tweed is irresistible, made from the same factory as Chanel tweed its of the highest quality and is heaven on earth - the perfect size and colour! What better place to show these two pieces off then at the iconic Lourve Museum, it's like this outfit was made just for Paris. omg this outfit is stunning! i love the sass and bide dress and you styled it perfectly! cant wait to see more paris photos!! Stunning dress lovely. I adore the beading.